On Tuesday night the Super DIRTcar Series big-block Modifieds kick-off the 2019 season at the DIRTcar Nationals at Volusia Speedway Park in Barberville, Fla. The Modified have a long traditions of racing at the Volusia County oval that dates back to 1978 when Walt Breeding was the initial Florida series champion. Over the years they’ve raced at numerous facilities, but Volusia Speedway Park has become the main-event. 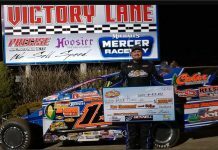 In 2019 a powerful contingent of Modifieds are expected to head to the Sunshine State for an opportunity to shake the rust off before action kicks off in the Northeast in in early March and April. Here is a breakdown of the DIRTcar Nationals for 2019. 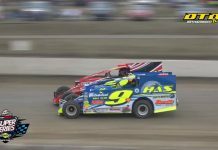 The Modifieds hit the track for the first time on Tuesday night for the first of four 30-lap main-events paying $2,000 to win before the Saturday night finale, a 50-lap affair, offers $5,000 to the winner. Tuesday: Group qualifying in hot laps will determine heads up heat race lineups. There will be four eight-lap heats with five drivers qualifying from each heat. The 30-lap, $2,000 to win feature will start heads up based on heat race finishing order. Two 10-lap Last Chance Showdowns are scheduled with three cars transferring from each setting up a 26 car field. Wednesday-Friday: Group qualifying in hot laps will determine heads up heat race lineups. There will be four eight-lap heats with five qualifying from each heat. The 30-lap, $2,000 to win feature will have the top two drivers from each heat race redrawing for starting spots with the final three transfer drivers in the heat starting heads-ups in the main-event. Two Last Chance Showdowns are scheduled for 10-laps with three cars transferring from each setting up a 26 car field. Two provisional starters will be offered to the two highest in DIRTcar Nationals points. Saturday: Group qualifying in hot laps will determine heads up heat race lineups. There will be four eight-lap heats, five qualifying from each heat. The 50-lap, $5,000 to win feature will have the top two drivers from each heat race redrawing with the final three transfer drivers starting heads-ups in the main-event. Two Last Chance Showdowns are scheduled for 10-laps with three cars transferring from each setting up a 28 car field. Two provisionals will be offered to the two highest in DIRTcar Nationals points. Tyler Siri opened the week as the talk of the DIRTcar Nationals by capturing his first ever Super DIRTcar Series win and Florida win to kick-off the action after a Tuesday night rain-out. He captured his win on Thursday night after the feature was fogged out on Wednesday night. 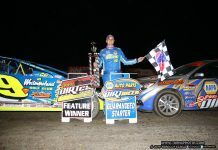 Matt Sheppard picked up just one win during the week in the Friday night 30-lapper. He was able to beat out perennial Florida winner Danny Johnson. Tim McCreadie earned two feature wins during the week while also picking his first ever Big Gator for being the DIRTcar Nationals Champion. His win on Saturday night was the most impressive in recent memory. McCreadie was forced to use a provisional starting spot to make the main-event. He then marched his way to the front from the 27th starting position to Victory Lane. He passed Stewart Friesen late in the go for the win and the title. As of 2018, 140 Modified features have been run in the state of Florida at five different facilities. Brett Hearn leads everyone on the list with a total of 24 feature wins. Danny Johnson is second with 13 wins. Kenny Brightbill has nine, Doug Hoffman has eight while Matt Sheppard completes the top five with seven triumphs. There have been 33 total Florida tour championships including those that have been run at the DIRTcar Nationals. Those 33 awarded titles have gone to 16 different drivers. Brett Hearn leads all drivers with eight career championships in Florida. Picking a DIRTcar Nationals Champions is difficult. There has not been a back-to-back series champions since 2005 and 2006 when Brett Hearn was able to do the double. As stated, McCreadie was last year’s champ and he is not returning to the Modified ranks as he focuses on the Late Models meaning a new champion will be crowned in 2019. 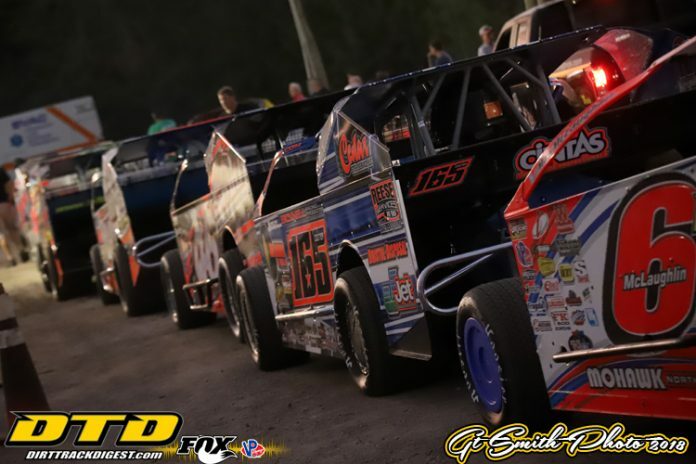 The DIRTcar Nationals kicks off on Tuesday, February 12th for the Super DIRTcar Series big-block Modifieds with five nights of consecutive races. As always it will be in entertaining week with plenty of twist, turns and several surprises.